Cuyahoga Heights Fire Department currently staffs 12 full-time firefighters working three 24-hour shifts and a staff of part-time firefighters who fill in and assist as needed. 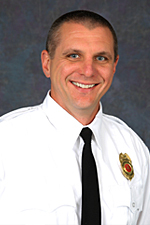 Administrative duties for the department are handled by a Fire Chief and an Assistant Fire Chief. The Assistant Fire Chief also takes care of the daily duties of the Fire Prevention Office. The Fire Department provides the Village of Cuyahoga Heights residents and business with Emergency Medical and Fire Suppression Services along with fire safety inspections and education. To provide the most efficient service for the community, we will act and perform in a safe, courteous and professional manner. As members of the fire service, we have chosen to protect the lives and property of the citizens of our community. Our highly trained and motivated members have chosen to be part of a team that takes pride in representing the Cuyahoga Heights Fire Department. We will strive to create a strong bond with the community by involving them in fire education, prevention, and protection. The Fire Department provides a large number of other services that are not as visible as Fire and Rescue vehicles responding on an emergency call but they can be just as important. Here is a list of a few of them. Fire safety inspections and fire safety information is provided to all business and industry in Cuyahoga Heights on a yearly or as-needed basis. Plan reviews and testing of fire alarm and protection systems. 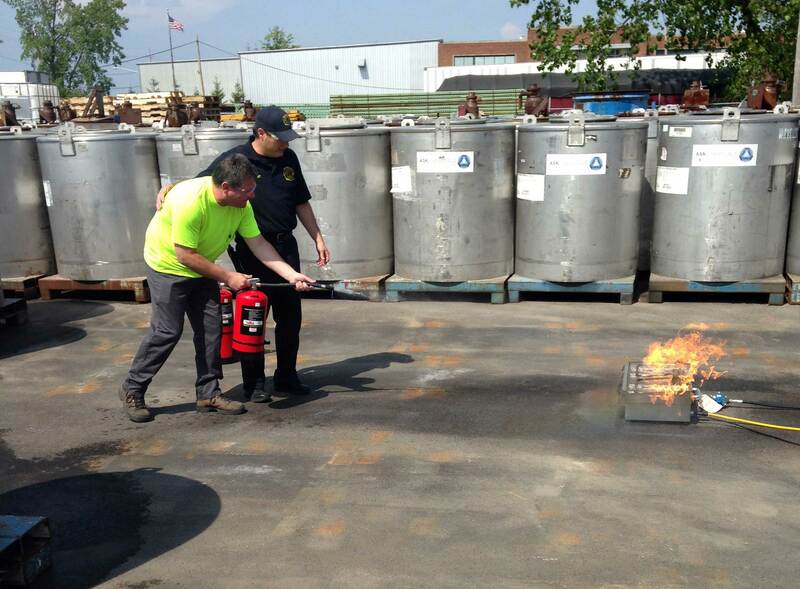 Provides public education to residents and business including fire extinguisher classes. Assists the Cuyahoga Heights Schools with fire and tornado drills. Provides fire safety information year round to the residents of Cuyahoga Heights, which culminates every October during Fire Prevention Week with a smoke alarm and battery program. Contact Assistant Chief Selig at 216.641.6799 or h.selig@cuyahogaheights.com for more information. The Cuyahoga Heights Fire Department is dedicated to finding solutions that support the independence of older adults. One of these solutions is the Phillips Lifeline System—ideal for a variety of needs. Have you fallen and require assistance? Are you having trouble breathing and need an ambulance? Find yourself locked out of the house and must find someone with a key? Philips Lifeline can help connect your loved ones and the fire department. This system will work with your home phone line or your wireless internet system. Signing up is easy. We will come to your home and show you how the system can work, install the equipment, maintain all your products, and assist you with any questions along the way. The faster help arrives, the less likely an injury will lead to hospitalization or the need to move into a long-term care facility. If you would like a consultation and/or a Phillips Lifeline System unit installed, contact Assistant Chief Selig at 216.641.6799 or h.selig@cuyahogaheights.com. CPR training is provided to local industry, residents, students and staff of Cuyahoga Heights Schools. Planning and participation in training and emergency drills are provided both in house and with local agencies and fire departments. Contact Assistant Chief Selig at 216.641.6799 or h.selig@cuyahogaheights.com for more information. We have three emergency weather sirens. They are located at the end of Chapek Parkway, on top of the fire station and on top of a building at the Northeast Ohio Regional Sewer District (NEORSD) on Canal Road. They are tested at noon on the first Saturday of every month from March to November. The Village has an emergency contact system called SwiftReach. Our dispatcher can send out messages to all Village residents and businesses via telephone in case of an emergency. If you are not receiving these calls, please click the Add/Remove Yourself button in the graphic below and fill out the form to add, update or remove your contact information. Powered by SwiftReach Networks, Inc.
We are a member of the Southwest Emergency Response Team which offers a Hazmat, Rescue and Fire Investigation team as needed. The initiative was made possible through a special grant from ArcelorMittal Cleveland. For more information, and/or to speak with someone regarding this innovative local safety initiative, please contact Michael Suhy at 216.641.6799 or m.suhy@cuyahogaheights.com.